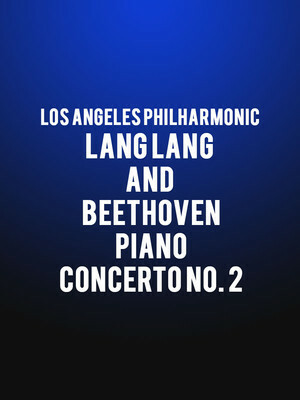 Why See Los Angeles Philharmonic - Lang Lang and Beethoven Piano Concerto No 2? Feast your ear-teeth on an aural whirlwind of orchestral delights including Haydn's Symphony No. 4 and Beethoven's Piano Concerto No. 2 during Gustavo Dudamel's latest 'Friday Evenings 2 Series' program. 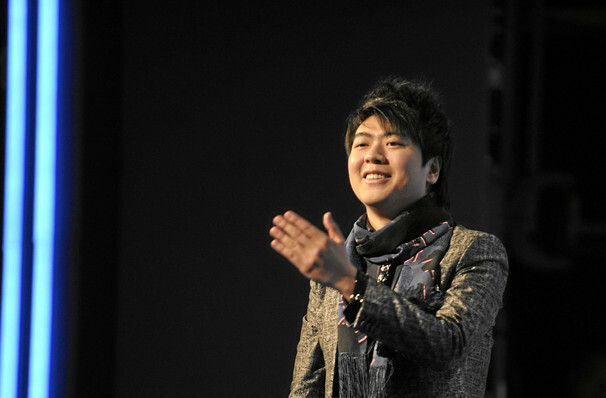 The esteemed conductor and the Los Angeles Philharmonic welcome celebrated Chinese concert pianist Lang Lang to the stage for the concerto, a perfect pairing thanks to the work's considerable charm, Lang Lang's profound understanding of the composer's creative spirit and mature, contemplative interpretations. After a dramatic performance of Beethoven's Egmont overture, the evening keeps up the pace with Haydn's 104th Symphony, dubbed 'The London' as it was the last of twelve symphonies he wrote for English audiences. Monumental and filled with its composer's trademark wit, it is a fitting parting gift to the proud classical tradition he helped build in Great Britain. After a brief intermission, the thrilling program comes to a close with Beethoven's triumphant 1795 Second Piano Concerto, an epitome of iconic German muso's playful and lyrical writing. Sound good to you? Share this page on social media and let your friends know about Los Angeles Philharmonic - Lang Lang and Beethoven Piano Concerto No 2 at Walt Disney Concert Hall. Please note: The term Walt Disney Concert Hall and/or Los Angeles Philharmonic - Lang Lang and Beethoven Piano Concerto No 2 as well as all associated graphics, logos, and/or other trademarks, tradenames or copyrights are the property of the Walt Disney Concert Hall and/or Los Angeles Philharmonic - Lang Lang and Beethoven Piano Concerto No 2 and are used herein for factual descriptive purposes only. We are in no way associated with or authorized by the Walt Disney Concert Hall and/or Los Angeles Philharmonic - Lang Lang and Beethoven Piano Concerto No 2 and neither that entity nor any of its affiliates have licensed or endorsed us to sell tickets, goods and or services in conjunction with their events.